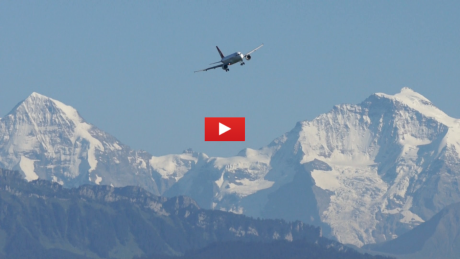 Visual approaches with an impressive view of the Bernese Alps: Wetterhorn, Schreckhorn, Finsteraarhorn (highest mountain in the Bernese Alps) and the world famous Eiger, Mönch and Jungfrau. Atlantique Air Assistance ATR-42-320, F-HAAV, takes off at Airport Bern-Belp in Switzerland. Flight AF1237 Bern - Paris Orly was operated on behalf of Air France. Filmed on April 13th, 2012. 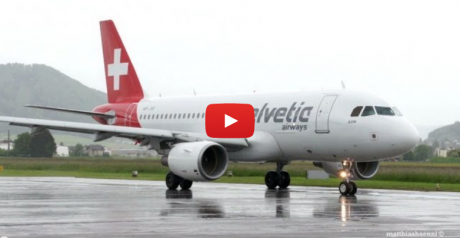 Helvetic Airways Airbus A319-112 close-up taxi and take off at Bern Airport in Switzerland. The two CFM56 turbofan engines caused a huge spray effect from the wet runway. 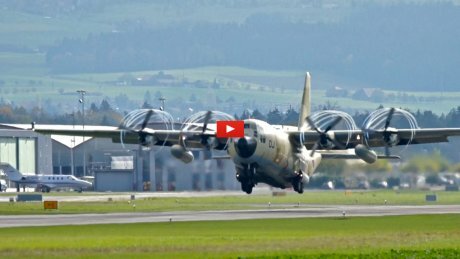 The aircraft was low-weighted and took off just for a brief ferry flight to Geneva which explains the short take off distance. 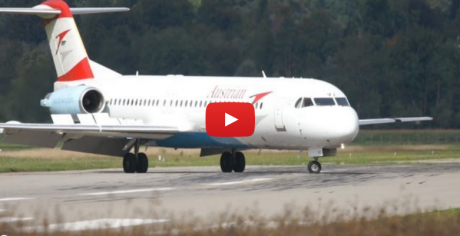 Austrian Airlines Fokker 100, OE-LVJ, landed with gusting crosswind at Airport Bern-Belp in Switzerland. This was a charter flight with the football team Rapid Wien on board. 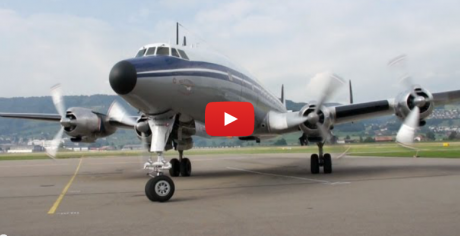 A legendary Lockheed L-1049F Super Constellation, HB-RSC, visited Airport Bern-Belp in Switzerland. Engine start-up with flames and smoke. Flame out while turning on the runway. Close-up take off and great engine sound. 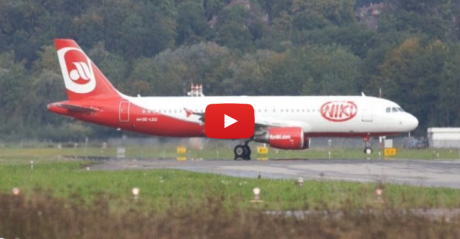 Airbus A320-214 (OE-LEU) of Fly Niki landed at Airport Bern-Belp (LSZB). A wonderful cloud effect is visible in the distance: The wingtip vortices modified the shape of the clouds during the descent. The very short landing of about 800 meters distance was an impressive surprise. 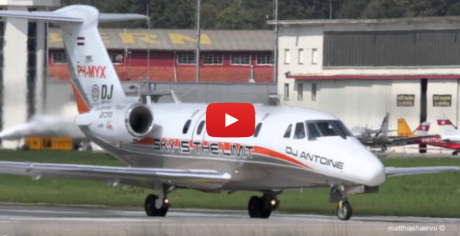 This was a charter flight for fans of the Austrian football club Rapid Vienna. FlyNiki (NIKI Luftfahrt GmbH) is a subsidiary of Air Berlin.